For the walker who wants flexibility and minimalism. 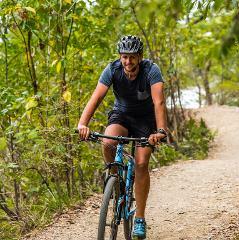 We take you on a one way trip from Picton and drop you off at Ship Cove, you make your own way along the track and onward to your next adventure! 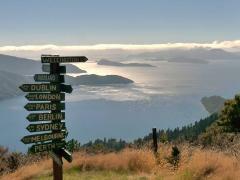 Hike the first 15 kilometres of the beautiful Queen Charlotte Track with dramatic views of the Marlborough Sounds. 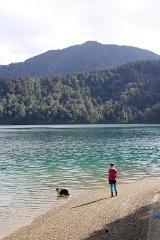 The best value for a return trip to the Queen Charlotte Track! 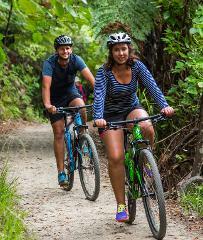 You can now explore and discover the Queen Charlotte Track at your own pace, spend as long or as few days as you wish to complete the track and have your bags carried each day! 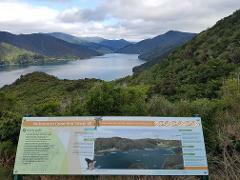 Take a walk down the lower end of the Queen Charlotte Sounds, beginning with a steep uphill climb from Torea Saddle be rewarded with 400m panoramic views of the Queen Charlotte Sounds. 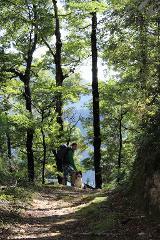 Perfect for families, couples and people who would like a leisurely walk along the track. 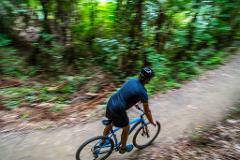 A beautiful 11km easy stretch of the Queen Charlotte Track hugging the coastline and exploring native forest of the Endeavour Inlet. 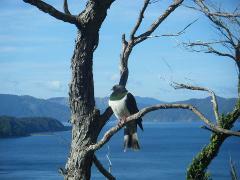 Let us take you to and from the Queen Charlotte Sound, with complimentary bag transfers to your accommodation options! Spend the day at the beautiful and Historic Ship Cove. Pack a picnic, swimming suit and a blanket for a fun filled day! Depart either at 8 am, or 9 am, and return at approximately 5:30 pm or 6 pm. Spend the morning cruising through the Queen Charlotte Sounds and stop over for a beautiful Morning Tea at the stunning Punga cove Resort. 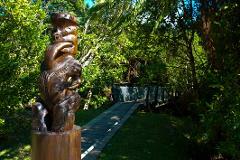 Watch the goings on in Punga Cove whilst sipping on a hot drink and snacking on a treat! 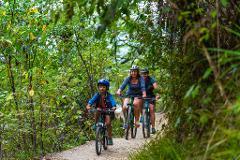 A short water taxi ride from Picton to Mistletoe Bay, so spend some time exploring the loop tracks before heading up onto the Te Mahia Saddle to join the Queen Charlotte Track. The views are worth the climb as you continue to Anakiwa. 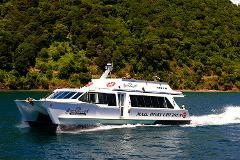 This tour is available on days when there are Cruise Ships in Picton's Port. These tours have been specially designed for cruise ship passengers with limited time who still want a great sightseeing tour. 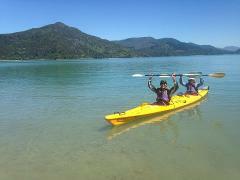 An extension of the Torea Bay to Mistletoe Bay track, continue from Mistletoe Bay following old bridle trails, skirting farm paddocks, passing through regenerating and mature forest and an opportunity for a swim at Davies Bay. Feel like a challenge? This full day walk from Torea Bay to Punga Cove offers stunning scenery with panoramic views of the Queen Charlotte and Kenepuru Sounds. If you have the time, enjoy a drink or well deserved meal at Punga Cove Resort. 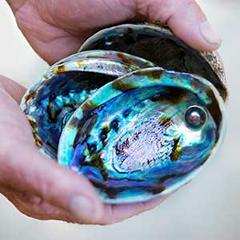 Experience the beautiful settings where magnificent Paua Pearls are raised, cultivated and made into art! Beachcomber's Sunday Afternoon cruise is one of sheer delight, featuring a combination of highlights from our Ship Cove Cruise and Motuara Island Bird sanctuary Eco Tour. Make a day of it departing Picton at 9am and cruise up through the Queen Charlotte Sound spend 30 minutes ashore at historical Ship Cove. 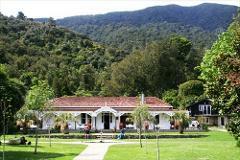 Spend the day exploring Furneaux Lodge , taste the local food and wine that Furneaux has on offer. 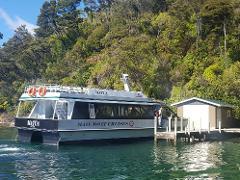 Spend the day lounging at beautiful Punga Cove Resort with an amazingly scenic cruise there an back! 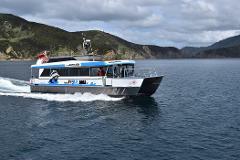 cruise on our 8 am departure from Picton out to Motuara Island where you are able to spend 60 minutes on shore viewing the native birds of new Zealand, Take the sore walk up the top of the hill to breath taking views. 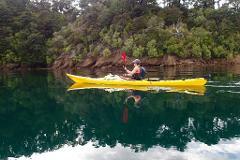 Paddlers can rent kayaks at our base on the corner of Queen Charlotte Drive and Anakiwa Road. 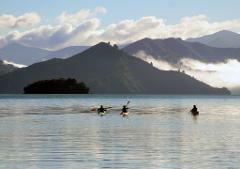 Our strategic location also enables us to access all three Sounds – Queen Charlotte, Kenepuru and Pelorus Sound - for your multi day adventure. 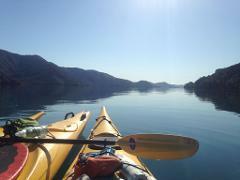 Full day trip made up of a Half day Guided kayak, followed by a half day freedom bike trip in the Queen Charlotte Sound. 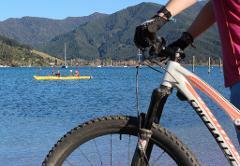 Mountain bike rentals with a water taxi at the start to allow you to travel further. 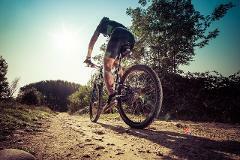 “A good bike ride fixes everything” – Quoted from someone awesome. 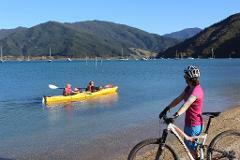 The Marlborough Sounds certainly provides the opportunity for that “good ride”. 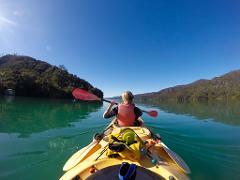 The Marlborough Sounds offers some of the best sea kayaking experiences in New Zealand – away from the crowds, with beauty and wildlife in abundance. 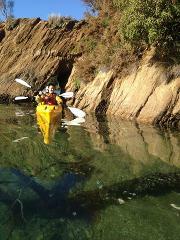 We have high quality, traditional ‘decked’ kayaks. 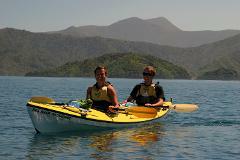 Sea kayaking has been described as one of the best ways to travel and explore places that you cannot access by land. It is a peaceful and gentle way to immerse yourself in the environment. 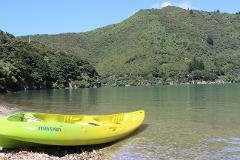 Why not try one of our kayaking trips to experience the sounds of nature in our tranquil Marlborough Sounds? 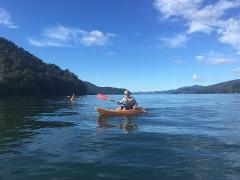 If you have limited time in the area but are keen to experience the brilliance that the Marlborough Sounds has to offer, then this is the trip for you. 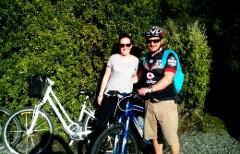 Rent a bike from us and enjoy your own self-guided wine tour. We’ll set you up with quality equipment and send you on your way with our recommendations, tips and hints you need to craft your own unforgettable Marlborough wine adventure. 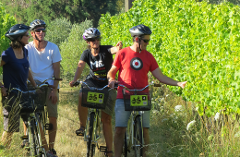 Our Deluxe Half Day Guided Biking Wine Tour is ideal for those without a lot of time. 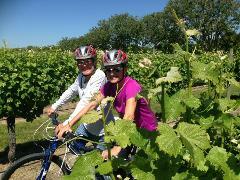 This fun, easy tour bikes to 3 wineries and includes a platter lunch at a winery restaurant. This private tour is the ultimate in guided wine tours. Your friendly, experienced guide will create your itinerary to include at least 5 wineries, a private wine experience and a delicious winery lunch.